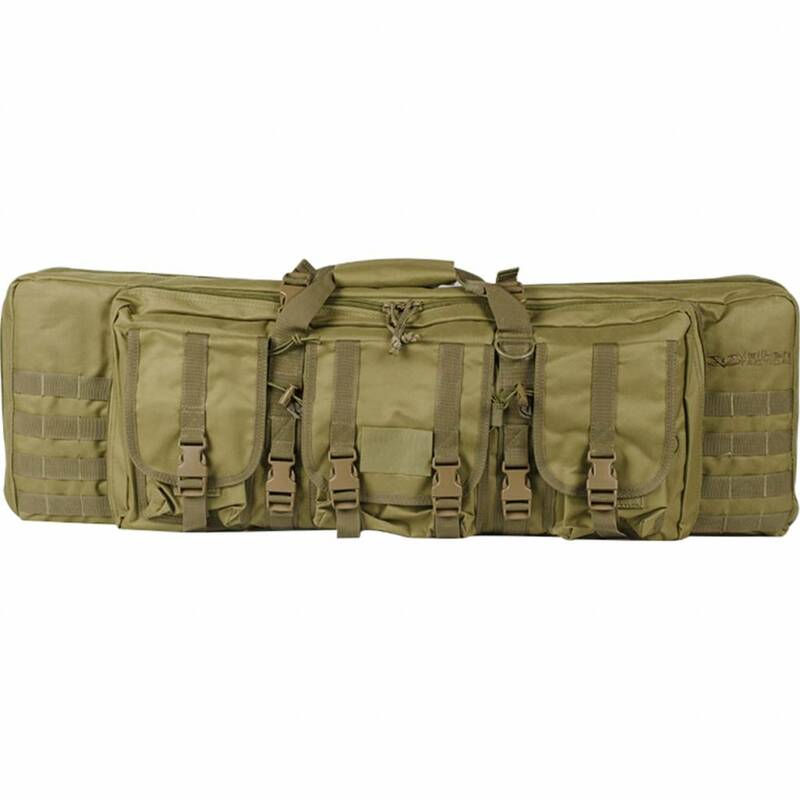 The Valken Tactical Gun Bag is an absolute must-have for transporting your guns. It is the perfect size for holding your standard guns and most compact guns. Keep all your weapons and accessories in one easy to carry gun bag. The exterior of the gun bag is made of a durable material that will take a beating so your guns don't have to. Heavy-duty zippers are in place so that you can access your equipment easily without fail. This gun bag also features two carry handles and backpack straps for caring your gun bag longer distances while keeping your hands free. Five external pouches with hook & loop flap closures for carrying tools, ammo, magazines, or almost any other accessory that you may need. 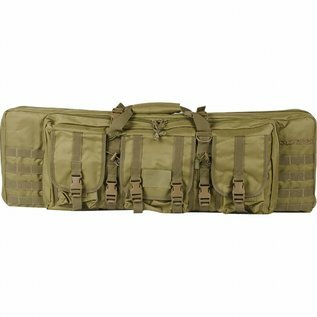 MOLLE straps are in place so you can attach universal MOLLE pouch accessories, giving you even more freedom to expand your gun bag.